I am amazed by the conspiracy of silence, on the right and the left, about former FBI Director Robert Mueller’s bungling of the anthrax case. “In his years as FBI director and as a Justice Department official, Mueller gained a reputation for honesty, integrity, and being a ‘straight-shooter,’” writes Fred Barnes at The Weekly Standard. But since Rosenstein appointed Comey’s buddy Mueller as special counsel, people are beginning to see the whole process as a setup. Or as Barnes puts it, the deck is “stacked” against President Trump. Hence, “the sword of impeachment will be hanging over him,” says Barnes. This didn’t have to happen, if journalists and commentators had been open and honest about Mueller’s real record. Simply put, Mueller can’t be trusted to arrive at the truth. The anthrax letters case proves it. He should never have received the appointment as special counsel. Barnes’ assertion that the deck has been stacked ignores the fact that he and his associates in the Never-Trump movement helped stack the deck. Why didn’t they blow the whistle on Mueller when he was appointed? Why do they ignore his real record now? Call me a cynic, but I can’t help thinking that the Never-Trumpers in the media, such as Barnes, know precisely what is happening. 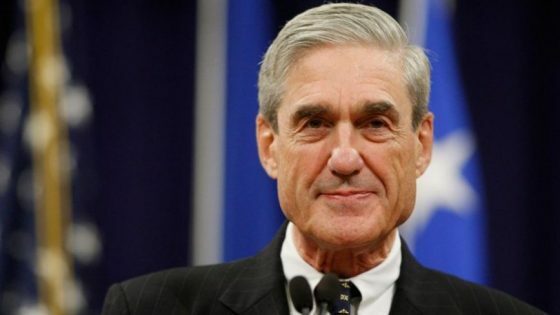 They know Mueller is determined to take down Trump, but that he can only do so if he is given a clean bill of health as a first-rate investigator. Hence, they must whitewash Mueller’s corrupt record in advance of him filing charges against Trump and/or his associates. Only in the swamp known as Washington, D.C. can a failed FBI chief be rehabilitated into a “straight-shooter,” qualified to bring down a president with the powers of a special counsel. At the time of the anthrax attacks, I was working closely with AIM founder Reed Irvine, who never backed down from a search for the truth. A series of AIM Reports challenged the FBI’s handling of the case and examined how various members of the news media, most notably New York Times columnist Nicholas D. Kristof, pushed dubious theories targeting innocent American scientist Steven Hatfill. Kristof operated on the basis of a phony theory, fed to him by a leftist, speculating that the anthrax letters were mailed by a right-winger, probably a white guy working for a U.S. lab. The FBI went along with the false premise, ignoring the obvious evidence of an al-Qaeda role. To illustrate how Mueller botched the case, consider that the FBI didn’t have a shred of evidence against Dr. Hatfill, but drove him out of two prestigious jobs and ruined his career. At one point, the FBI claimed to have fished a piece of Hatfill’s lab equipment, supposedly an anthrax weapons device, out of a pond. The FBI spent $250,000 to drain the pond but found no evidence of anthrax in it. The device was a minnow bucket. Comey took over for Mueller at the FBI and could have reopened the case in order to determine why, in the end, the Department of Justice awarded Hatfill nearly $6 million in damages. Comey could have cleaned house, purging corrupt agents. Instead, Comey decided to maintain the cover-up and keep Mueller’s so-called sterling reputation intact. As a result, the FBI still maintains that another scientist, Ivins, who was persecuted and driven to suicide, was the culprit. Even before the embarrassment with the minnow bucket, columnist Dan K. Thomasson had written that the FBI’s handling of the anthrax case “has to be the most incredible display of bizarre ineptness since former FBI director Louis Freeh took personal charge of the investigation to nail Richard Jewell for the bombing in Atlanta’s Olympic Park” in 1996. Jewell wasn’t guilty of anything except some genuine heroism that saved lives. Ignoring the anthrax investigation debacle, some commentators are noting that Mueller is staffing his operation with Democratic Party lawyers. What else did you expect? His assignment is to bring down Trump. In regard to the President, we said on May 24, “Mueller will produce evidence of a crime out of nothing if he has to.” That’s what they tried to do to Hatfill. In Trump’s case, it doesn’t matter if the charges are legitimate. All that matters is that they give the appearance of impropriety, so that the impeachment process can get underway. Since Comey continued the Mueller anthrax letters cover-up, we have to assume that the FBI culture hasn’t changed, and that Mueller, now in charge of dozens of FBI agents as part of his special counsel investigation, will order his investigators to frame President Trump and/or his top aides with some charge or another. This is a vendetta that constitutes revenge on a President they don’t like and who is suspicious of their work. At first I was amazed by the continuing cover-up surrounding Mueller’s terrible record, which also includes letting Islamists rewrite FBI training materials. Then, I thought about it and considered a major human flaw which characterizes the work of commentators and journalists—they don’t ever want to admit they’re wrong. They accepted Mueller’s work on the anthrax case as legitimate at the time, and now don’t want to revisit the matter because it would put their own judgments under scrutiny. It’s much easier, under these circumstances, to say that Mueller’s work was exemplary, even though such a claim is a blatant lie.